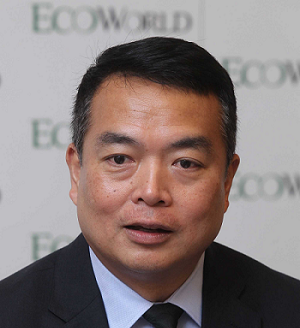 Eco World Development Group Bhd (EcoWorld) has agreed with the Penang Development Corp (PDC) to rescind a letter of award dated March 26, 2015 for the purchase and development of 449.64 acres of land in Bandar Cassia, Batu Kawan. Accordingly, their plans to build an 18-hole international golf course on 150 acres of land and a mixed-use development named Eco Marina on the remaining acres of land fell through. “However, extensive studies undertaken as part of the detailed planning process have revealed that the acreage required for the golf course development will be significantly higher than originally contemplated which adversely impacts the viability of the project,” said EcoWorld. EcoWorld president Datuk Chang Khim Wah (pictured) said while the group accepts the unavoidable circumstances that led to the rescission of the letter of award, it remains keen on Penang, calling it a “valued market”. “We are confident that Batu Kawan holds much promise as Penang’s future engine of growth and are keen to play a role in making it a key development hotspot for the nation. Accordingly, we will continue to look for other opportunities to acquire good landbank here to develop more townships. This will enable us to replicate and build on the success we have enjoyed with our Eco Meadows project on the mainland,” he said.